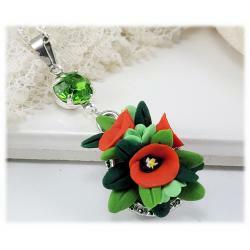 Do you have a March birthday or looking for a gift for a friend or loved one with a March birthday? 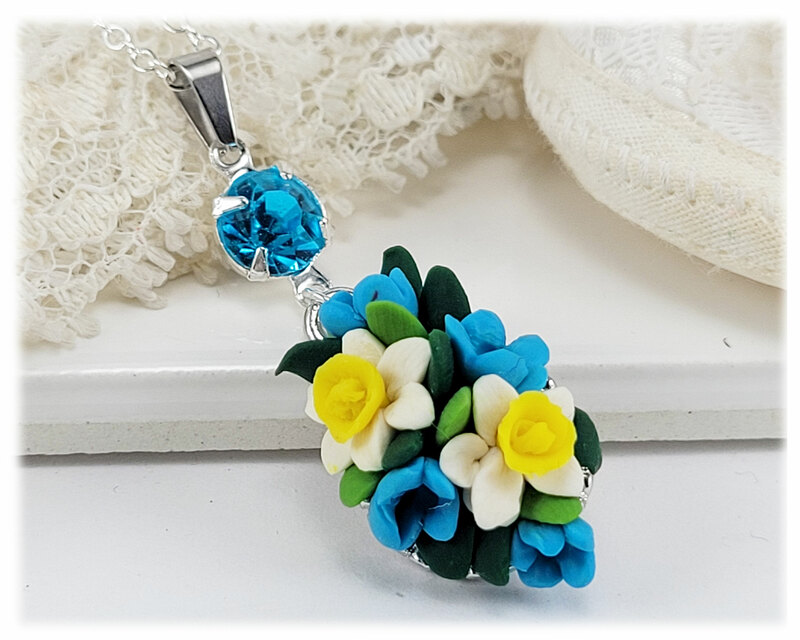 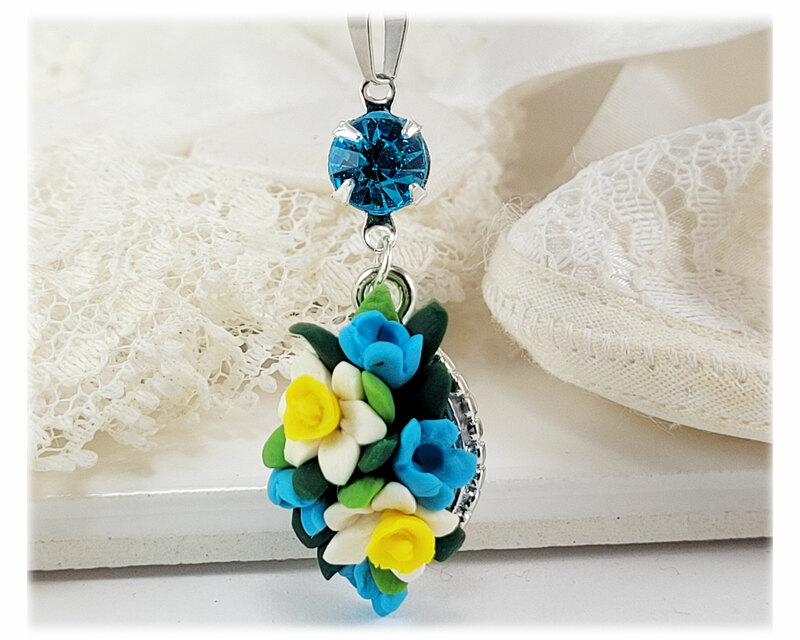 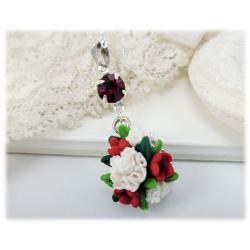 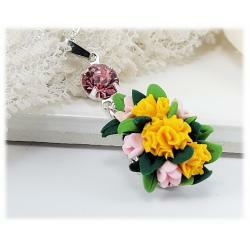 This necklace features March's birth flower, the Daffodil, hand sculpted from clay, along with an Aquamarine color rhinestone, March's birthstone. 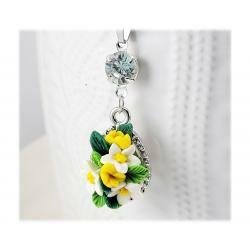 This simple petite bar style necklace is available in silver, gold or antique brass for your own preferred style.